Accent Landscapes is fortunate enough to work with wonderful clients to design and build beautiful outdoor living environments, where plants and people can grow together. With over thirty years of experience in the front range and mountains of Colorado, we truly bring outdoor living to life. Founded by English Landscape Architect and Interior Designer Nigel Staton in 2004, Land by Design is a widely respected Landscape Architectural, Landscape Construction and Interior Design Firm operating out of Colorado and California. Nigel worked for a top London law firm as an attorney for 10 years before deciding that he needed a more creative and fulfilling professional outlet. After resigning from the firm he went to live in Germany then in France where he taught business law to undergraduates in French. Whilst living in Europe he developed a fascination for Landscape Architecture inspired by his exploration of the rich landscape architectural history of southern Europe. Nigel founded his own firm in Denver in 2004 after obtaining a Master's degree in Landscape Architecture and receiving a scholarship award for academic excellence. He quickly became a prominent player in the redevelopment of old downtown areas whilst maintaining a thriving practice and passion for residential design. Early on clients began requesting interior design assistance and very soon he found himself drawn passionately into this field as well. Having traveled extensively throughout the world he now draws inspiration from both his diverse and cosmopolitan background as well as his passion for nature and design. Nigel is equally at ease with larger regional scale systems and contextual thinking as with finer details and combines a disciplined approach and out-of-the-box thinking with an innate ability to understand and respond to client needs. He currently serves as an expert on the Licensing Examination Advisory Board to the California Landscape Architects Technical Committee. Our Design and Build services include: – Design & Build of Custom Decks and Deck/Patio Covers: We use only pressure treated or steel framing components. We use all types and brands of decking and railing ranging from redwood or cedar to all the composite decking options, and we take care of all the extras as well like low-voltage lighting, stone and deck seating, gas and wood burning fire pits, and outdoor kitchens. 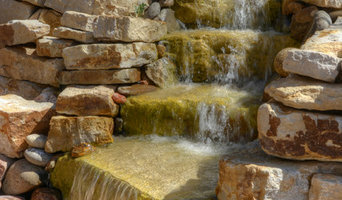 – Design & Build of Custom Landscapes: We do everything in outdoor living spaces such as gas and wood burning fire pits, paver and flagstone patios, walkways, driveways, xeriscapes, traditional lawn based landscapes, all types of drip and lawn irrigation, natural rock and concrete block retaining walls (from the smallest to the largest), and water features. – Installation of Quality Concrete Patios, Walkways, and Driveways: Grey concrete, colored concrete, and many patterns and styles of stamped concrete. Kristin is a licensed landscape architect specializing in residential design...from small gardens to large estates. Practicing since 1987, we have completed over 400 projects. Most are in Colorado, but others can be found in California, Connecticut, Delaware, Texas and Hawaii. From conceptual design to detailed landscape plans, we design every aspect of the outside environment to create a beautiful result. We believe the design process is a collaborative process between the client and landscape architect...we blend the client's needs, budget and ideas with our knowledge and creativity to produce designs and drawings that are unique and comprehensive. We have established relationships with landscape contractors, wholesale nurseries, and landscape and patio suppliers to ensure the highest quality workmanship and materials. Our attention to detail, thorough plant knowledge and design expertise make us the premier landscape architectural studio in residential design. Dave Johnson, is a licensed Landscape Architect offering a unique approach to residential landscape architecture, combining outstanding design with client advocacy, and an unmatched attention to detail and craft. My passion is to work with people who make the distinction between landscaper and Landscape Architect... those that appreciate the "process" of design and are interested in creating evocative, unique, and exceptional environments for outdoor living. In addition to offering dynamic and considerate design solutions, the fact that I am not a "design/build firm" is an important distinction to make. It allows me to act as a true advocate for my clients through all phases of their project, in a way not possible within the inherent conflicts of interest, typical of a design/build business model. 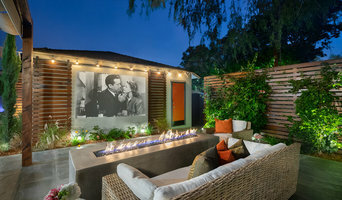 If you like the idea of creating an exceptional outdoor space, with a licensed Landscape Architect, that will assist you in obtaining and evaluating multiple project bids, advise you on assembling the best project team, and once the project begins, oversee the construction on your behalf...then I would be interested in learning more about what you aspire to create! Please take the time to look through a few of my projects and to read what some of my clients have been kind enough to say about the time we spent together. If after doing so, you feel that I might be a good fit for what you are hoping to accomplish, please don't hesitate to give me a call. At Watermark Landscape, we have one goal - complete customer satisfaction. Watermark Landscape is the Denver metro benchmark for landscape design and construction, fabulous outdoor living spaces and more. Master Craftsmen of Exceptional Outdoor Environments. Our talented landscape designers and installation team are passionate about crafting every project, to the highest standard of quality and attention to detail. 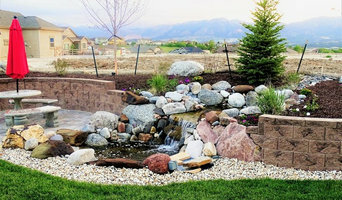 We create unique outdoor spaces, walls, fireplaces, water features, outdoor kitchens, irrigation systems, and patios that define stylish outdoor living in the Denver metro area. We employ both design and installation teams in house.This allows us maximum efficiency so we can complete all projects on time and within budget. We are diverse group of professionals highly capable in all aspects of landscape design and installation. We’ve been delivering these results for more than 10 years to Denver landscaping clients. When the installation is complete we are still there when you need us, we have learned that the success of a project is in its beauty years after the installation. Healthy lawn and beautiful trees, shrubs, and flowers make a positive first impression and last impression. 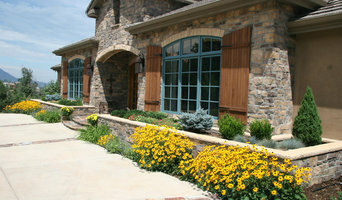 We create and maintain some of the most beautiful landscapes in the Denver area. Weston Landscape & Design, Inc. is a Landscape Architecture and Construction firm based in Denver, Colorado. With more than two decades of experience, the Weston team has the skills, experience and creativity to design and build award-winning outdoor living spaces. Twisted Vine Design is a Landscape Design & Construction firm that specializes in form, function and artistic expressions. We believe that a landscape designed around the principles of sustainability will result in a practical, efficient and beautiful space for you to enjoy! Aspen Falls is a premier landscaping company serving the Denver Metro Area and surrounding communities since 2005. Specializing in custom landscape and outdoor living, we provide top-notch construction and project management that meet or exceed our customer's expectations. At Aspen Falls we understand that our customers are our business and we pride ourselves in the level of service and the quality of product that we deliver to every project. We use only the highest quality, Eco-friendly, and sustainable landscaping products in our projects. In choosing Aspen Falls you can be assured that your project will be designed by a degreed professional and installed by our certified and highly experienced team. We will bring our 36 years of vision, integrity, and industry leading performance to turn your dream landscape into a reality. From a simple yard spruce-up to a turn key landscape and architectural renovation, Design Exteriors has the experience to handle it all – from consultation to design to completed construction. Design Exteriors provides landscaping and constructions services in Denver, Boulder and the surrounding suburbs. Whether your objective is to improve your Curb Appeal or to create a gorgeous back yard Outdoor Living Space, Design Exteriors can help you turn your dreams into reality. With over thirty years experience in the landscape & construction industries, Design Exteriors has helped countless homeowners increase the beauty, functionality and value of their homes. Designscapes Colorado designs landscapes that capture the imagination and shape a beautiful outdoor sanctuary for relaxation and play. We integrate landscape design, construction, and landscape maintenance to develop complete environments that fulfill the client's dreams, without compromising the details of proper care. The planning and design of any project is an exciting endeavor for us at Designscapes Colorado. As landscape architects & designers, we work closely with our clients on a personal basis to provide design solutions in an artistic manner, in response to their specific needs and lifestyles. Landscaping in Denver, and the many micro climates that exist along the Front Range, presents a unique set of opportunities; Our skilled team of designers and architects blend innovative thinking with comprehensive experience to address the potential and challenges of Colorado’s unpredictable climate. Residential design firm, specializing in renovations of existing landscapes for over 30 years. 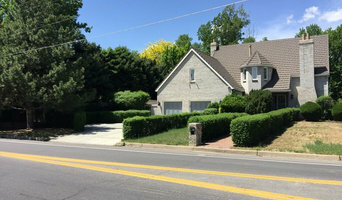 Hughes Landscaping, Inc. has been providing Douglas County and the surrounding Denver Metro area with unsurpassed quality and integrity since 1988. We are a family owned and operated business who has built a very reputable company over the past 20 years. Hughes Landscaping not only installs your beautiful landscaping but we provide all the year-round maintenance that your yard needs to sustain its beauty. Our Mission Statement: To Provide for our customers, the best team of highly motivated and trained professionals in the lawn and landscape business. Furthermore, to consistently provide our employee’s with honest, safe and prosperous opportunities while working in an atmosphere with realistic goals, superior team attitude and where family always comes first. Alex Ostblom is a Professional Landscape Designer and Certified Nursery Professional with Designscapes Colorado in Denver, CO. Alex Specializes in integrated design, hardscapes and outdoor rooms, diverse plant palettes and challenging/complex projects. The work of this outdoor professional includes most everything surrounding a home's exterior. A landscaping architect can even work with the home architect to choose the right spot for your Usaf Academy, CO house. From there the Usaf Academy landscaper will develop preliminary concepts for your front or backyard design based on individual needs including the climate and activities that will take place, as well as layouts and planting plans. Landscape architects will also design any structures or outbuildings that will be added to the space. Any grading changes that will be added to the yard are also the responsibility of the architect. This includes any drainage modifications. An engineer can also be responsible for these tasks, but licensed Colorado landscapers are fully capable. Like building architects, they will produce preliminary concept drawings as well as detailed construction documents and planting plans. Three-dimensional renderings and illustrative plans are all supplementary. A Usaf Academy landscaping designer generally will have ecological, aesthetic and technical training, which helps them maximize the potential of your outdoor space. Keeping in mind both style and functionality, garden designers analyze your architecture and yard to produce a plan that may or may not include location and materials for walkways, patios, water features, fences, garden aspects and more. In addition, a landscaper in Usaf Academy, CO will carefully assess your geographic region to choose plants, trees and flowers that will flourish naturally, as well as address concerns such as drainage, screening and soil conditions. Certain landscape designers only help with the planning portion, while some may deliver the plans and then oversee a hired landscaping contractor. Others — typically following a design-build approach — take care of both the design and all aspects of the landscape architecture and construction. Before you hire a Colorado professional landscaper, consider the scope and emphasis of your outdoor project. Landscape architects, who typically hold advanced degrees in their field, are trained to develop comprehensive structural plans that include plants, hardscaping, water use, drainage and more. Landscape designers typically specialize in the aesthetic and horticultural, rather than structural, side of yard and garden planning. They might or might not have advanced training. Even within their fields, a garden designer may specialize in hardscape- or vegetation-focused designs. In some cases you might need to hire additional help to get the outdoor space you want. Here are some related professionals and vendors to complement the work of landscape architects & landscape designers: Landscape Contractors, Garden & Landscape Supplies, Tree Services, Gardeners, Lawn Care & Sprinklers, Decks, Patios & Outdoor Enclosures. Find an Usaf Academy landscape architect on Houzz. Narrow your search in the Professionals section of the website to Usaf Academy, CO landscape architects and designers. You can also look through Usaf Academy, CO photos to find a space you like, then contact the professional who posted the photo.